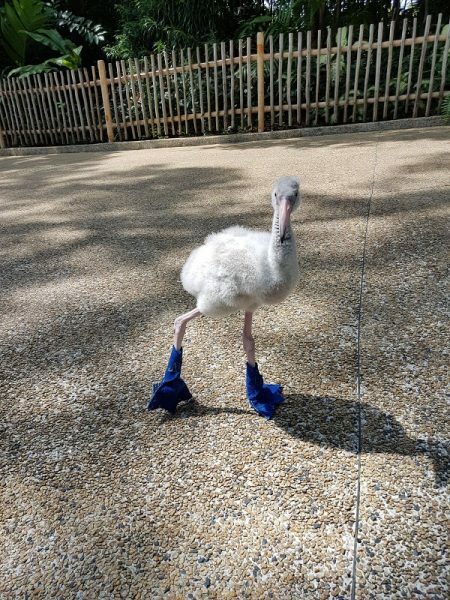 If you ever catch sight of a fluffy ball of grey feathers traipsing around in a pair of adorable blue booties when at the Jurong Bird Park, it may just be Squish. 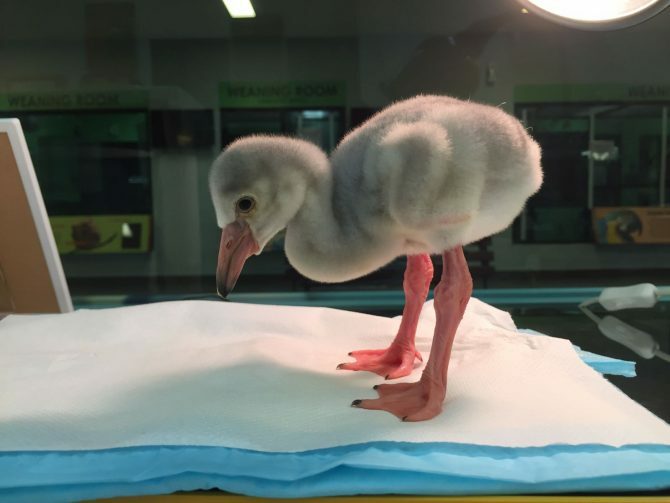 The two-month old baby flamingo was abandoned as an egg and has since been tenderly brought up by the bird park's animal care staff. When found, the abandoned egg was swiftly brought to the incubation room at the Breeding and Research Centre. Squish is kept on constant surveillance and fed special formula and multi-vitamins up to five times a day. Aside from embodying a feathered symbol of hope and miracles, Squish could possibly be the most fashionable animal in the world, touting a pair of blue shoes when it takes its short walks around the park's grounds. The soft booties are handmade, which makes them very much couture. They are to protect Squish's from the hot concrete surface outside the centre. And because Squish is still far from acquiring the fabulous pink plumage in his adulthood, the statement shoes are prefect in giving its rather dreary whitish-grey facade a pop of colour. 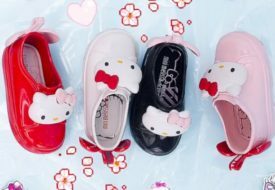 Melissa’s New Hello Kitty Shoes Collection Is Utterly Kawaii! 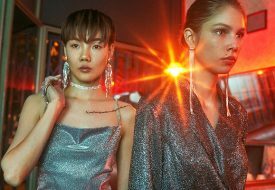 Pantone Announces New Fall/Winter Colour; Make Way For Mellow Rose!